Post Malone in Montreal or Quebec City? Inform me about the next events for Post Malone. Enroll yourself to our priority waiting list for Post Malone to be alerted when new tickets are available. Filling this form doesn't engage you to any purchase. Post Malone will be performing at the Montreal Metropolis on October 3rd, 2016 ! 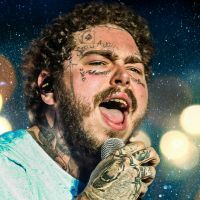 The American Hip-Hop artist, whose hit White Iverson gained major success last year, will be performing songs from his first record, Stoney, which will be released in late August. Don't miss Post Malone in Montreal in October.